Usually, the ideal space should be 20 feet long and 13 feet wide and should be quite secluded from the major activities of the home such that the sounds from within are restricted and not too much of a distraction according to Rob Rickel, president of RSR Custom Renovations and Additions. During the building process, you may want to pay more attention to Insulation of the walls, floor and ceiling. Also, additional sound bars will be needed after pre-wiring the room. It is the norm to use a 7.1 surround sound system or a 9.1 along with a subwoofer and seven channel speakers or nine channel speakers. It all depends on the sound effect you want to create. From the ceiling, one end of the cables should extend to the equipment hub at the other end. High speed internet will also be needed to stream video. 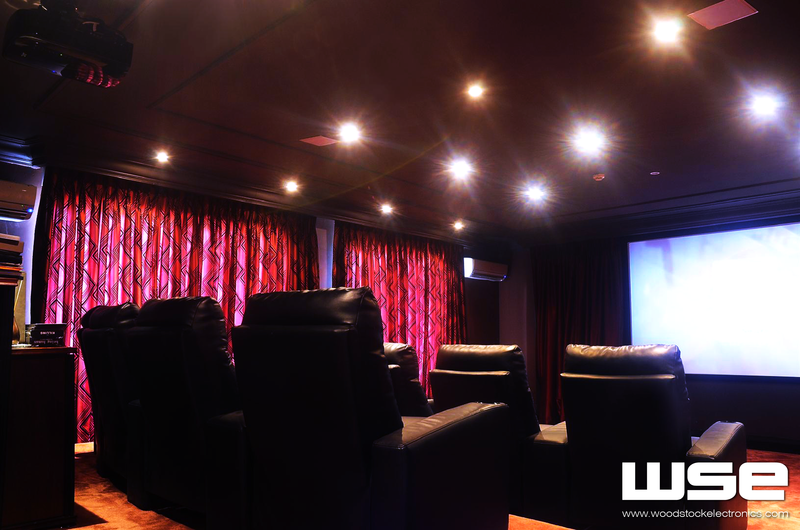 Recessed lighting in the ceiling along with sconces along the side walls are the best kind of lighting systems for the Home theater. Step 6 – Install Drywall and surround bars. All these steps if professionally installed will create a luxurious Home Theater where you can relax and enjoy your favorite movies. Visit http://www.woodstockelectronics.com or send an email to hello@woodstockelectronics.com for your needs and we will help you achieve this wonderful experience.